Posted on 03/08/2018 by Mickey McCarter	in Live Review and tagged 9:30 Club, Coast Modern, Los Angeles, neo-psychedelia. 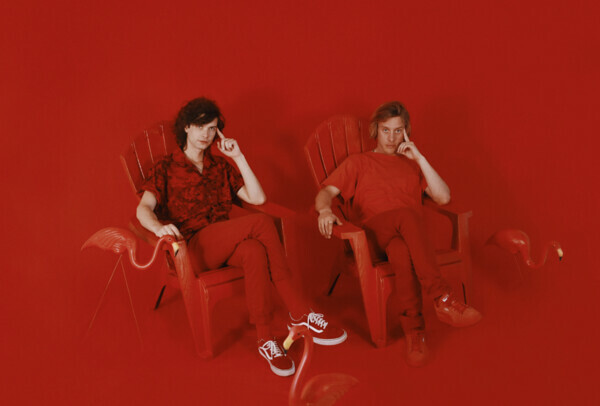 Los Angeles indie pop duo Coast Modern will visit 9:30 Club on their Haunted House Party Tour with a show on Monday, March 19. Luke Atlas and Coleman Trapp create infectious sunny dance tunes, which they will perform at 9:30 Club. Last month, the gents tuned out to produce a cover of “Electric Feel” by MGMT. “Honestly, we don’t remember making this. A few days ago, the mastered file mysteriously appeared in our inbox. ‘Electric Feel’ is one of those songs that doesn’t even need to be covered, the original is a psychedelic jewel. Anyway, hope we did it justice… power to the people!” said Coast Modern in a statement. “As Coast Modern, they make stylistically eclectic pop with the languid stride of ’90s indie rock, à la Pavement,” said Liz Ohanesian in an overview for LA Weekly.